Whenever we get a tear or rip in our jeans, shirts and jumpers, we tend to give it away or throw it in the bin. Perfectly good and repairable clothing should never go to waste. 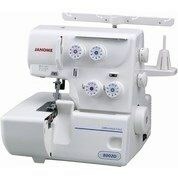 We have an incredibly large range of affordable sewing machines for beginners that will help educate people to learn about this amazing trade. All our machines are made with high quality mechanisms and are available now. 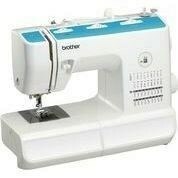 The large range of beginners products enables the operator to practical practice sewing at their leisure. 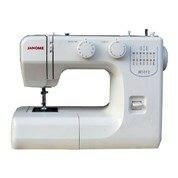 The Jamone beginners series gives beginners the opportunity to learn about the practical process and skills needed to stitch and repair clothing. Accompanied by zipper, sliding buttonhole, blind hem feet, bobbins, needles, seam rippers and screwdrivers, this massive set is a great start for any aspiring dressmaker. The invention of this product occurred in the late 1700s, and innovation of the product continues today. The new computerised innovation has been able to add specialised sewing features and increase the speed of repairing holes and producing clothing. The stitch quality speed is incredible, with speeds of up to 820 spm being obtained when you're sewing. 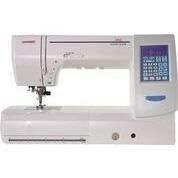 With backlit LED screens and easy stitch functionality, these products are great for any master of sewing. For more information about the amazing range of Appliances we have available including our computerised sewing and embroidery machines, electronic sewing machines and overlock machine range, please feel welcome to contact us through our customer service team using the online enquiry and telephone services. Many products available are eligible for free shipping throughout Australia, including Sydney, Melbourne, Hobart, Adelaide, Perth, Cairns, Canberra, and Brisbane.